A healthy digestive system ensures healthy animal. BioGut Aqua® ensures that the shrimp’s digestive system is maintained to its best. BioGut Aqua® is a mix of proprietary probiotic organisms that enhance the digestive abilities of the shrimp and confers beneficial effects on them. BioGut Aqua® also prevents growth of pathogenic microbes in the gut by denying them access to the gut lining. BioGut Aqua® bacteria benefit their host in two ways. Firstly, these bacteria cover the gut lining forming a thin biofilm coating. This protective lining of probiotic bacteria acts as a barrier for pathogenic microbes trying to infect the aquatic animals through the gut tissue. Hence, even if such pathogens are present in water they are not able to establish themselves in the gut of Biogut Aqua® treated animals. Beneficial bacteria in BioGut Aqua® also triggers the immune system of the animal to produce immunoactive substances against pathogens and viruses. BioGut Aqua® indirectly acts as a secondary defense system for aquatic animals protecting the animal from chances of having any infection. However, a healthy organism is more than just a disease free organism. To ensure that Biogut treated animals are healthy in true sense we have also added digestion enhancing bacteria in the product. These microbes which also formed a part of the biofilm lining the gut wall help in optimum utilization of food supplied to the aquatic animal. These microbes degrade the food particles into simpler readily absorbable simpler nutrients for the aquatic animal. Thus BioGut Aqua® ensures that the aquatic animal derives the most of the nutrient that it receives in the form of feed. Basically, BioGut Aqua®improves the feed conversion ratio. The animal becomes healthy and is more adept to fight stressful conditions that occur in the aquatic system. Proper nutrients and enhanced immune system leads to increased disease resistance, improvement in molting cycles and healthy sized aquatic animals. BioGut Aqua® is seen to be effective in improving the haemocyte profile and also reduction in white gut problems. 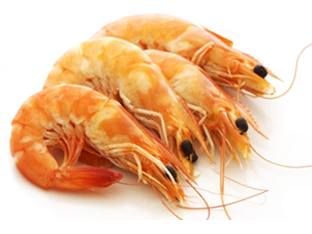 Shrimps grown on BioGut Aqua® show balanced grow-molt-grow cycle without any soft or lose shell problems.